Put-in-Bay Home Rentals are a great way to affordably partake of all that South Bass Island and Put in Bay has to offer. You’ll find many unique and charming small and large home rentals as well as condos on Put-in-Bay that are guaranteed to fit any budget and group or family. There are multi-bedroom homes located within a minute’s walk of the downtown “strip”, and there are quiet cottages nestled further back in the island that offer serenity but still an easy trip to get downtown and to the Put-in-Bay Attractions when needed. 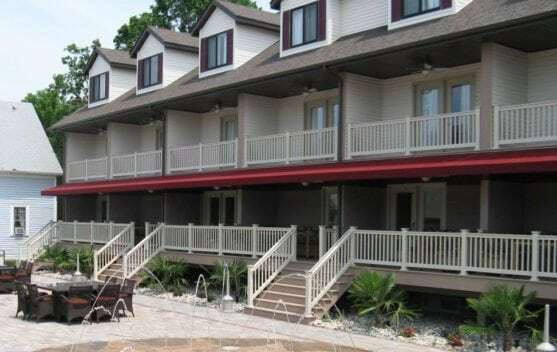 Many rental homes feature BBQ Grills where you and your group can grill out and prepare some meals if you choose not to visit our great selection of Put-in-Bay Restaurants. Whatever you choose to do, we know you will have a memorable time! One important thing to consider is that some rental homes are furnished with sheets & towels and some are not. Some have limited parking. It is always a good idea to inquire before booking. If you are staying at one of our rental homes that is more in the center of the island, it is always a good idea to book your golf cart online before departing and as soon after you confirm your reservation. Most rental homes on the island are no more than a 5-minute golf cart ride from the main strip.